The actions you take immediately after a car accident can have a tremendous impact on your legal options and the strength of any later settlement negotiations or civil lawsuit you bring to recover financial compensation. 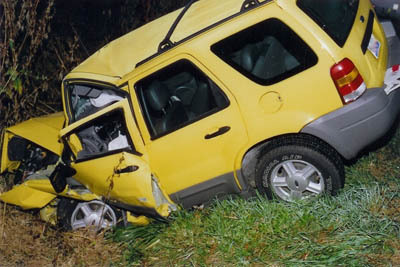 At Ginzkey Law Office, located in Bloomington, Illinois, we have more than 30 years’ experience representing the victims of car accidents, using negotiation and trial skills to help our clients get full and fair financial compensation after a car accident resulting in injury or wrongful death. Here, we offer some suggestions for steps to take after a car accident, in order to protect your legal rights. The most important thing you can do after a car accident is to check the welfare of everyone else involved in the accident, call the police and cooperate with law enforcement when they arrive on the scene. Exchange information and talk to witnesses. It is vitally important while doing this that you do not admit fault or apologize for the accident. It is important to not make any statements regarding whose fault the accident was. You may be shaken by the accident, but you do not want to admit liability following the accident. Any statements about liability – even an apology – may limit your ability to later obtain fair compensation from your own insurance company or the insurance company of the other driver. Get contact and insurance coverage information from all other people involved in the accident, both drivers and passengers. Talk to witnesses, if possible. Ask them what they observed and get their contact information. If appropriate, notify police – usually if there is substantial damage to either vehicle or if anyone is injured. Take photographs. Document the property damage and the accident scene. If possible, take pictures of where the vehicles came to rest, the layout of the intersection or road where the accident occurred and the damage to all vehicles involved. Take pictures of vehicle skid marks, relevant traffic or weather conditions, and road signs. If you do not have a camera available, make a drawing of the accident area. Almost all cell phones come with a camera these days – the pictures do not have to be professional quality, but any documentation can be helpful. Inform your insurance company. Discuss your case with a lawyer before accepting a settlement. As soon as possible after a car accident, review your car insurance coverage and notify your insurance company of the accident. Be cautious, however, about accepting an early settlement offer from your insurance company or the insurance company of any other driver involved in the accident. Oftentimes, medical problems caused by a car accident may take some time to develop. If you accept a premature settlement, you may find yourself unable to make a legal claim for late-developing medical conditions that may require expensive health care and result in lost wages due to time away from work.